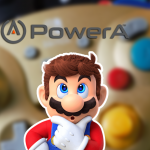 Tired of combing the eShop for good games? 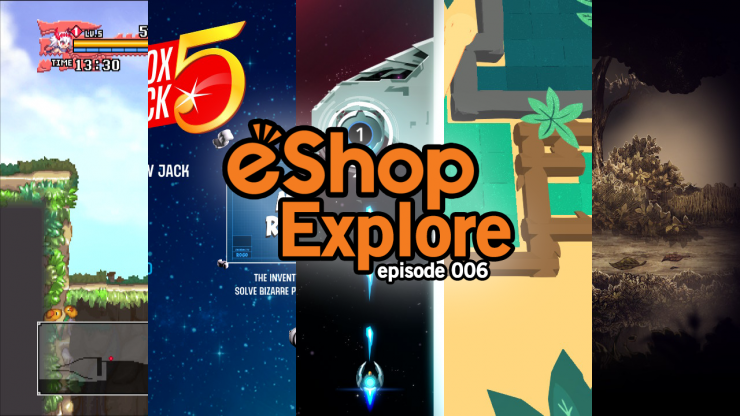 Find out what’s worth playing and what you may want to avoid in eShop Explore! More episodes. Dragon Marked For Death is an Action RPG from Inti Creates, the team behind the fantastic Mighty Gunvolt Burst, Mega Man Zero, and Mega Man ZX games. While I expected the same fast-paced action from Dragon Marked For Death, several factors held it back, and it ended up falling a bit flat for me. Some of my biggest problems include very limited movement options, slow pacing, and several other design decisions which feel antiquated by modern standards (for example: only being able to equip potions, weapons, and equipment at the inn). 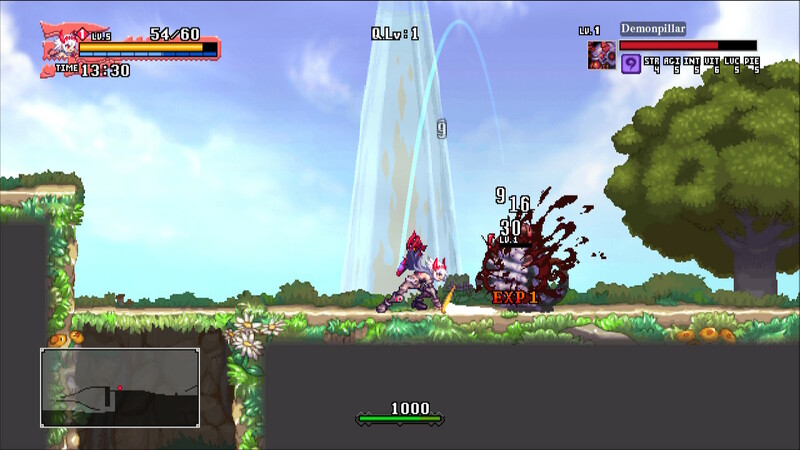 While I absolutely adore the art style, animations, enemy design and more, Dragon Marked For Death has issues. Levels feel a bit empty and must be repeated multiple times to level up enough to progress, bosses take a very long time to kill without great equipment (ESPECIALLY when you are playing solo, as I was during my review), and a few mechanics were included which feel out of place in modern action RPGs. As a result, I’d recommend games like Hollow Knight or Bloodstained: Curse of the Moon, both of which provide more cohesive experiences for the same price (or less). NOTE: Like virtually every major entry in the Pokemon franchise, Dragon Marked For Death has two separate versions you can purchase: Frontline Fighters and Advanced Attackers. Each game costs $15, and once you buy one version, the version you didn’t buy becomes DLC, still available at a $15 price point. Frontline Fighters includes Empress (my favorite) and Warrior. Advanced Attackers includes Shinobi and Witch. Publisher – Inti Creates Co., Ltd. Developer – Inti Creates Co., Ltd. The Jack Box Party Pack 5, like every other entry in the Jack Box series, contains five party games which work better the more players you have. While almost every game in the pack is fun to a certain extent, Zeeple Dome is a completely different genre, and doesn’t feel like it belongs in a Jack Box pack at all. While every other game involves trivia, or requires players to use their wits to create humorous moments, Zeeple Dome is a simple reflex game where each player uses their phone to flick their avatar at floating targets. 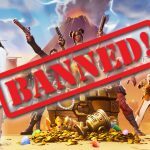 While Pack 5 does have fun games like Patently Stupid and You Don’t Know Jack is a solid staple, others like Mad Verse City and Split The Room can be hit or miss, especially if you play with an odd number of people and the computer inserts an AI opponent (who’s selections are almost always nonsensical and rarely in a funny way). 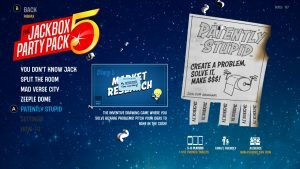 There is definitely fun to be had in The Jack Box Party Pack 5, but if you are looking for a party bundle, other packs (particularly those which include Fibbage) might be better options. Velocity 2X expands on its predecessor by adding fast-paced platforming sections to the solid top-down shooter gameplay of the original Velocity. 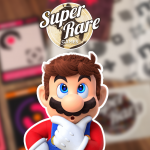 What results is a fun arcade experience which alternates between overhead puzzler/shoot-em-up, and side-scrolling platformer with light puzzle elements. While Velocity does not end up being particularly demanding in either genre (unless you are score-chasing), FuturLab is one of very few developers still creating good modern top-down rail shooters. 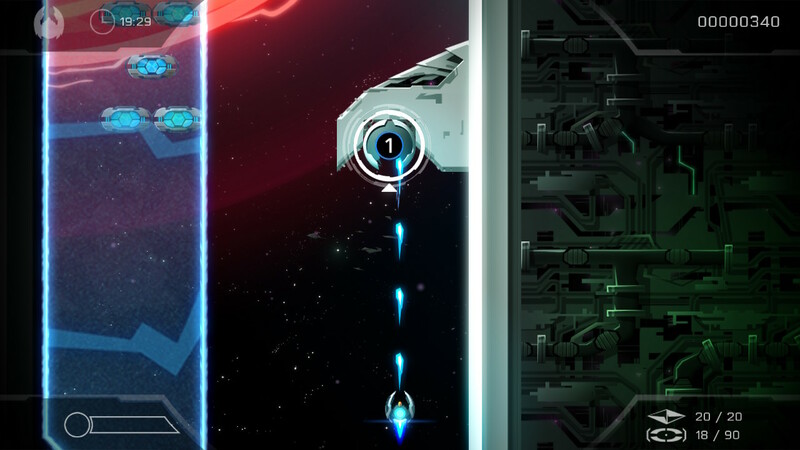 Velocity 2X adds several interesting twists to a tried-and-true formula, and is a fine addition for any arcade fan who is hungry for something new. While $20 feels a tiny bit steep for what is on offer here (although three DLC packs are included), not many developers are making games like these anymore, and virtually none of them are as good as Velocity 2X. 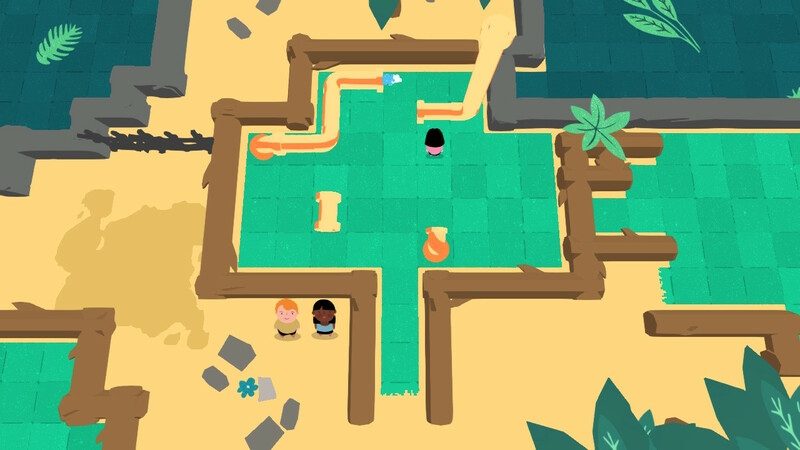 Pipe Push Paradise is a charming, intuitive, substantial puzzle game which is perfectly suited for Switch. With only 47 puzzles to solve, it may not seem like Pipe Push Paradise offers much content for its $11 price tag, but let me assure you, once you get beyond the first few puzzles, it stops simply being a charming papercraft indie puzzler, and starts showing its teeth. Pipe Push Paradise is a brilliantly designed puzzle game which has challenged me in ways very few puzzle games have. What begins with simple pipe pushing ends up being a game about positioning, orders of operations, and finding clever solutions to seemingly simple problems. More than once I’ve solved a particularly challenging puzzle, only to realize it was only marked as “Medium” difficulty. If you are looking for a unique take on portable puzzlers, Pipe Push Paradise is an excellent choice. What if a giant wolf, who accidentally clawed a young prince’s eyes out, then transformed herself into a “princess” to guide the wounded prince through the forest to a witch who could heal him, and fell in love with him along the way? 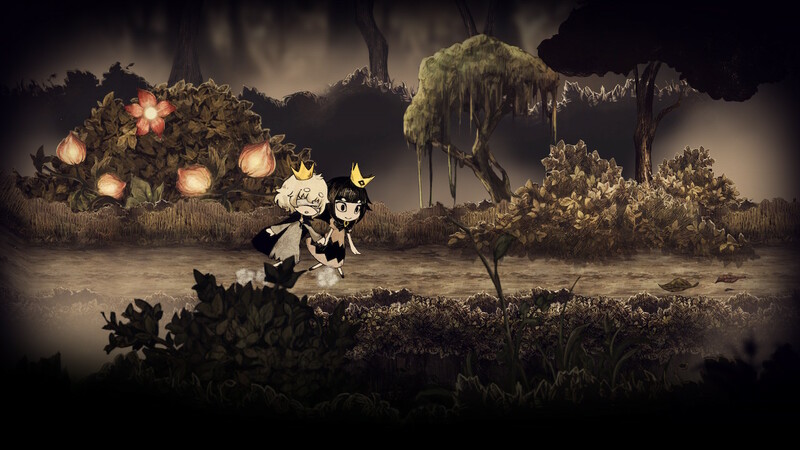 If that sounds like an imaginative take on a children’s tale, it most certainly is, but it’s also the premise of the charming puzzle platformer, The Liar Princess and the Blind Prince. While the difficulty certainly ramps up over time, The Liar Princess and the Blind Prince does not require quick reflexes, fast decision-making, or other skills demanded by most 2D platformers. Players spend their time pulling the blind prince along, occasionally transforming back into the monstrous wolf to solve various types of puzzles or dispatch monsters who would harm the prince. 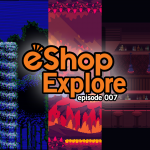 This back-and-forth makes for a more laid-back and thoughtful puzzle-solving experience which has more in common with games like Limbo and Dokuro than fast-paced platformers like Mario or Shantae. This, combined with the game’s unique atmosphere, make The Liar Princess and the Blind Prince an easy recommendation. Developer – Nippon Ichi Software, Inc.